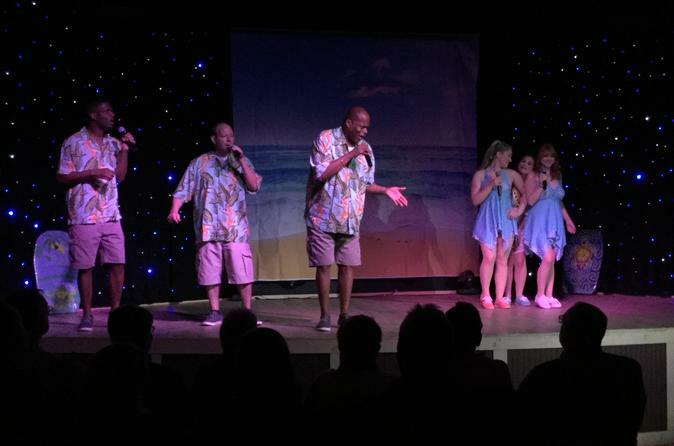 Enliven your evening with a ‘60s Tribute Show at GTS Theatre in Myrtle Beach. Watch performers in their best 1960s attire perform your favorite hits from the Monkey’s, Buffalo Springfield, and more during this 90-minute performance at an intimate venue. Make your way to the GTS Theatre, located near the Myrtle Beach Airport, 20 minutes prior to a prompt 6 p.m. show time with your printed Viator Reservation form in hand. If driving, park in the lot on the north end of the building. Get ready for a 90-minute performance of your favorite 1960s hit songs, including classics from the Beach Boys, Ray Charles, Chubby Checker, and more, performed by trained and talented vocalists. Feel close to the performers in an intimate venue with no bad seats. There will be a five minute intermission.